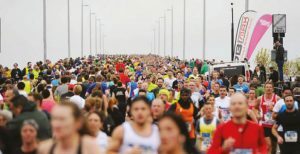 Running is probably the biggest mass-participation sport in the UK and new events are launched regularly all over the country. DB Max Sports Timing can provide chip timing for your running event, regardless of size, distance or event type. Whether it is a 10k run for 100 people, an OCR run for 1,000 people, or a half marathon for 20,000 people, DB Max Sports Timing has the chip-timing system for you. We will work closely with you as the event organiser to identify your timing and results service needs, and ensure you receive the professional service you and your customers demand. DB Max Sports Timing pride themselves on providing the number one tailored results service experience in the UK. Our services range from a simple set-up with a finish line mat for runner gun time, to start and finish timing points for chip and gun times, through to multiple on-course remote timing points (eg. 10k timing point within a half marathon). The whole service can be tailored to the organiser’s exact requirements. 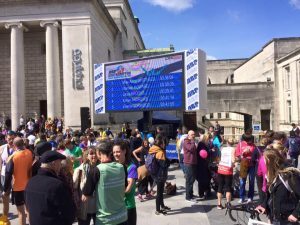 Results screen with individual print outs available at the finish line (up to 1000 runners). Printed prize giving results for presentations. Commentary laptop for race commentator with live information (with optional PA system). Cutting edge equipment, built by world leaders in sports timing, for extremely reliable results detection. Single-use timing chips where required, so no need for collection at the finish line. Race fulfilment with multiple dispatch dates. Event App with live tracking. Onsite feed to display screens or media partner. For more details on the industry-leading DB Max Sports Timing service, please contact us HERE or complete the quote request form HERE.